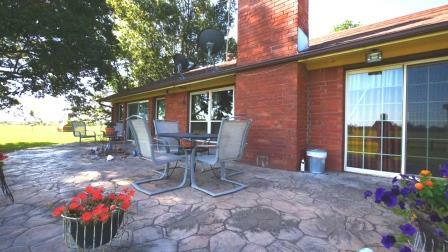 The mix of rolling terrain, open pasture and some timber presents a ranch with what we like to call “lots of character”. 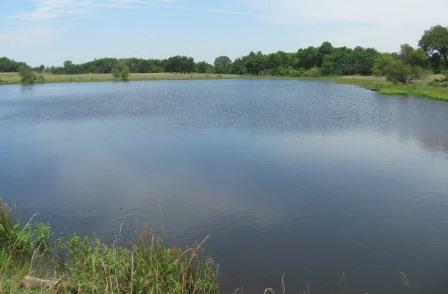 Two nice sized ponds are complimented by several smaller ponds. The shallow water table sustains several draws that provide water during most of the year and offer the opportunity to drill wells to provide fresh water to the ranch. 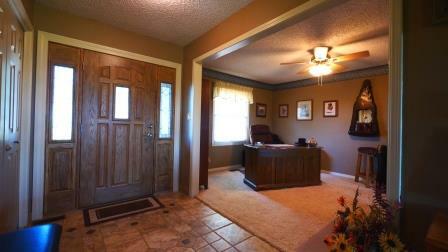 The ranch home is located toward the center of the property and has a very inviting and comfortable appearance. 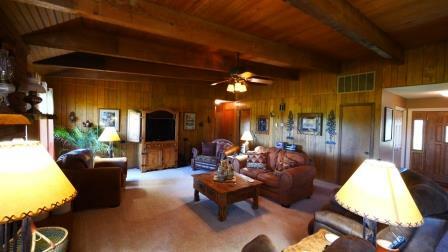 The residence is as inviting inside as out and includes 3 bedrooms and 2 1/2 baths. 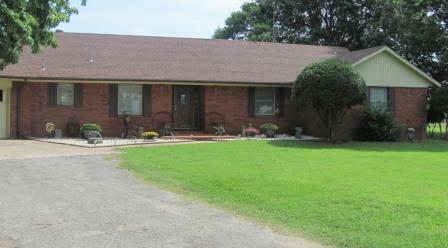 This approximately 2400 square foot home includes vaulted beam ceilings, office, dining room, attached 2 car garage, zoned heat and air, 2 hot water heaters, safe room, alarm system and ample storage including cedar closets. Rural Water serves the home and headquarters area. There is adequate water for livestock with 6 ponds and the ability to extend well water to provide fresh water in pastures. 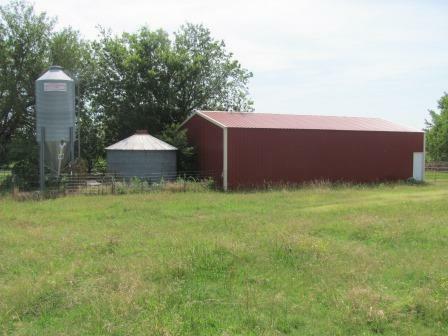 Metal framed barn/storage with AI facilities. Functional pipe corrals and pens designed for ease of operation. 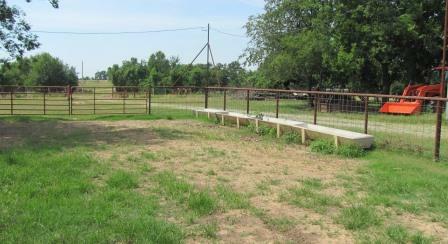 Automatic water tanks near the corrals.Fencing ranges from new steel to adequate. SOILS/ GRAZING: The Bates soils comprises almost 70% of the soil base and will produce 4,000 to 6,000 lbs. 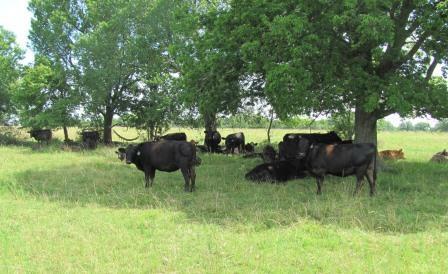 of range forage per acre/yearly and will be rated from 5 to 7 AUM (animal unit months) if in introduced forage. The Dennis, Taloka and Verdigris soils are even higher producing soils that complete the soil base. 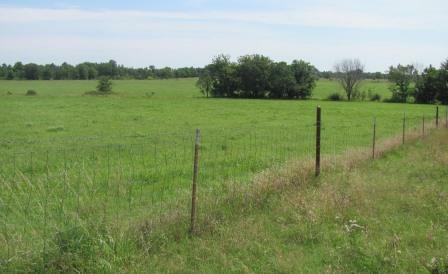 The ranch appears to have perhaps 15% varied timber cover and a mostly introduced forage base with areas of native grass being prominent. 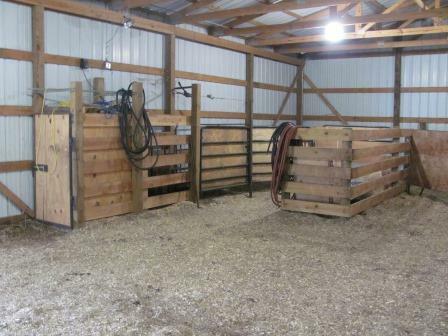 The owner has chosen to lightly stock the ranch with approximately 60 animal units but acknowledges that with more intense management there is a significant upside in the stocking rate. 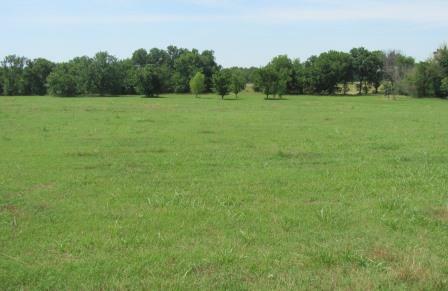 Due to the Bermuda and Fescue forage base and soils that support those forages, the ranch will respond well to fertilization. The location near the Arkansas River ports and commercial chicken production areas provides competitive fertilizer choices. This area of the state also responds well to clovers, annual ryegrass and crabgrass introduction. 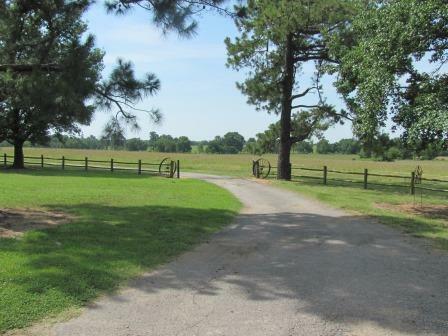 UTILIZATION: Due to the ease of management this property could easily be operated as a commercial cow/calf operation, purebred cattle ranch or the base for a stocker operation.